Stickyboard2 is a very good iPad app for creating sticky notes and mind maps. 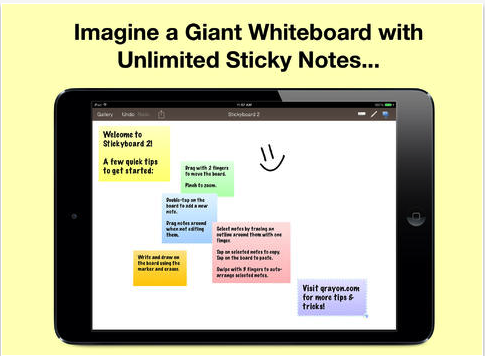 Actually, Stickyboard2 turns your iPad into a giant whiteboard with a never-ending stack of sticky notes. The regular price of the app is $9.99 but it is on sale today for free, at least here in Canada and also in the States. Not sure if it’s free in other places. Taking notes and creating sticky notes on Stickyboard2 is super easy.The app supports a number of coloured markers you can use to write your notes. Arranging and organizing notes is also another powerful feature provided by this app. You can easily select a bunch of notes, then swipe with 3 fingers to instantly arrange them into neat piles or fan them out into a grid, columns, or rows. And the best thing of all is that you can export and share your stickies in text or PDF format. It supports multiple colors with stutter-free drawing. Unlimited undo/redo and Copy/Paste: Undo/redo works with notes and ink, just as you would expect. zoomable board to capture all your ideas. Zoom by pinching, and pan with 2 fingers. 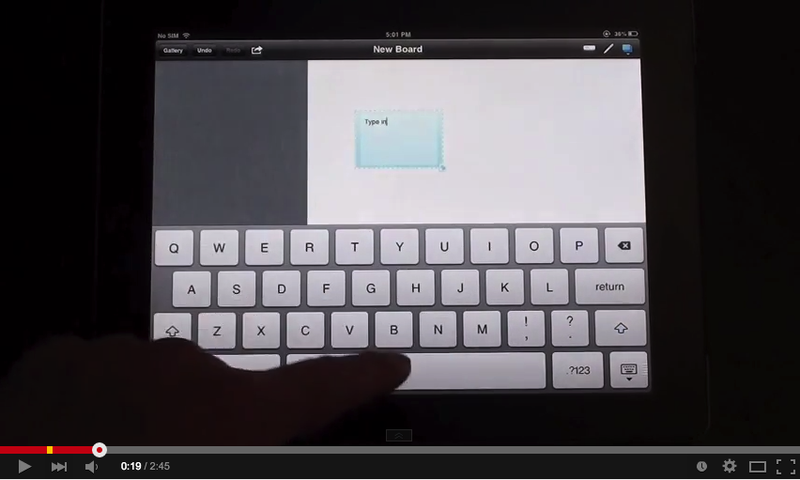 Watch this video from iPadagogy to learn more about Stickyboard 2.